Do you love Colgate toothpaste? It is my favorite! Colgate Total recently expanded their product line and came out with a new toothpaste, Colgate Total Daily Repair Toothpaste. Colgate Total Daily Repair Toothpaste contains a multi-active formula that helps repair early teeth and gum damage before you may know it even exists. 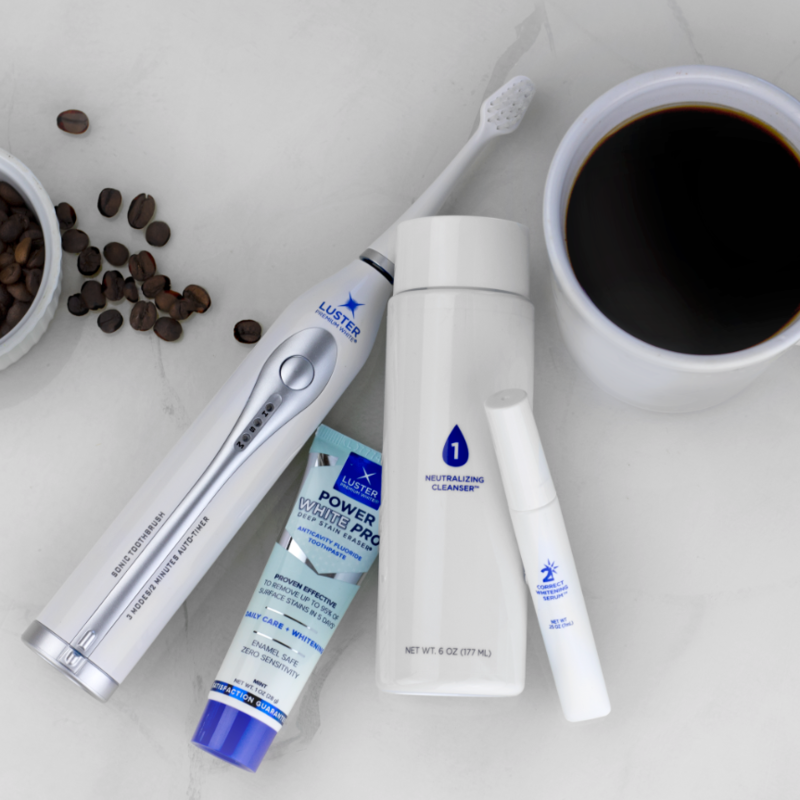 Brushing with Colgate Total® is one simple step you can incorporate into your daily routine to help keep your mouth healthy, and it can have a positive effect on your overall health. Colgate 360 Enamel Health Toothbrush has 48 percent softer bristles than a leading sensitive toothbrush, to help protect your enamel surfaces and gums. 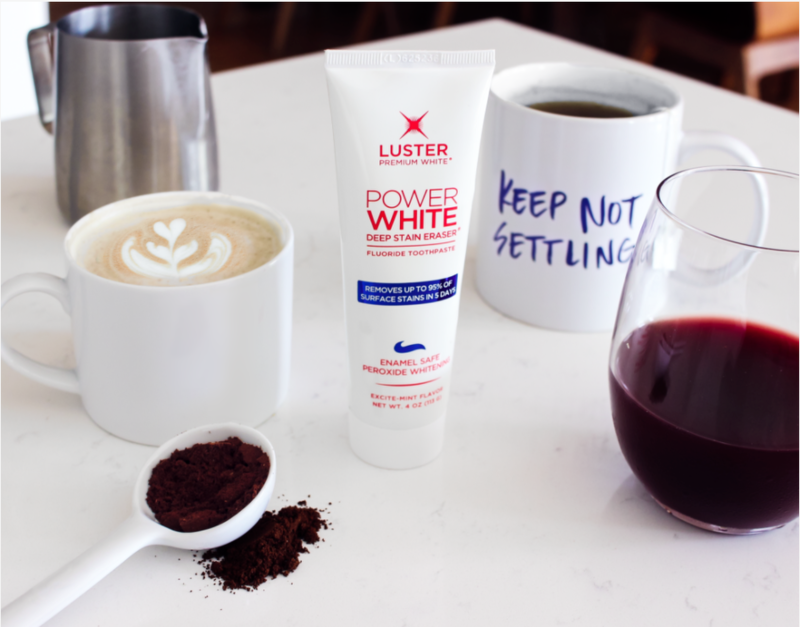 Our unique cheek and tongue cleaner removes 96 percent more bacteria than a regular toothbrush, the polishing whitening cups gently remove stains and the raised cleaning tip helps get into hard-to-reach places. My thoughts: My teeth had been feeling a bit rougher in spots and I was beginning to worry that I may be losing enamel on them. 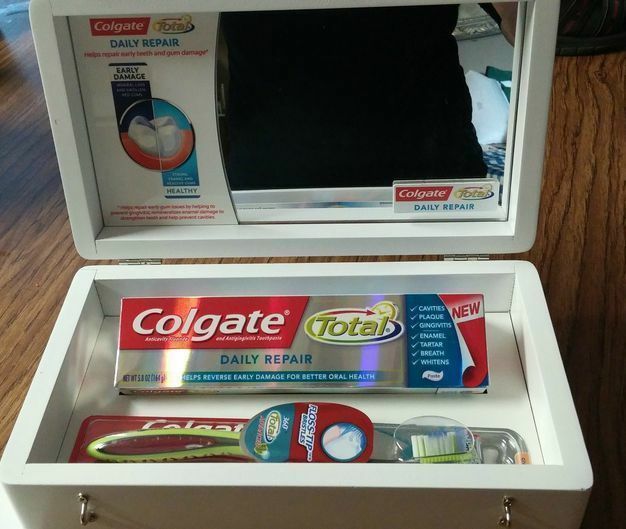 I was very happy to get the chance to try out the Colgate Enamel Health toothpaste and the toothbrush. After using these products for about two weeks now, I can run my tongue over my teeth and feel a nice smooth surface. I never paid much attention before to the importance of keeping the enamel on my teeth healthy, but now that I have been using Colgate Enamel Health products, I am almost afraid to use anything else. Plus, my breath tastes minty fresh. The toothbrush seems to get my teeth cleaner than the brand I was using before. I love Colgate Enamel Health! 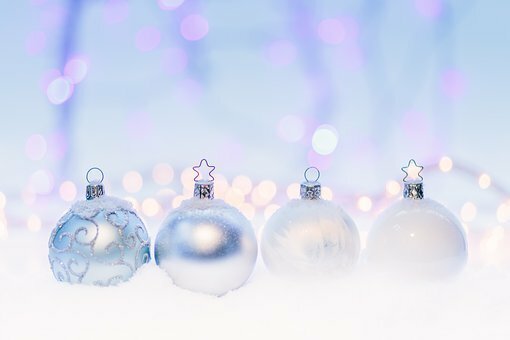 With the holidays around the corner, there will certainly be a lot of sugar consumption with all of those yummy treats that go with the season. It is important especially during this time that your child is brushing their teeth sufficiently and long enough so that plaque and bacteria are removed properly. The New FireFly® Ready Go Brush™ is the perfect tool for kids to learn how long they should be brushing their teeth for. The new FireFly Ready Go Brush features the colors and mimics the cycle of a traditional traffic light to let kids know how long they need to brush each row of teeth to be effective against cavities. The cousin of the original FireFly – the best-selling kids toothbrush in the U.S. – the toothbrush has a light-up timer that is activated by an easy to press button. Entertainment is a highly motivating factor when it comes to chores like brushing teeth, and it is the first step towards developing a lifelong healthy habit. 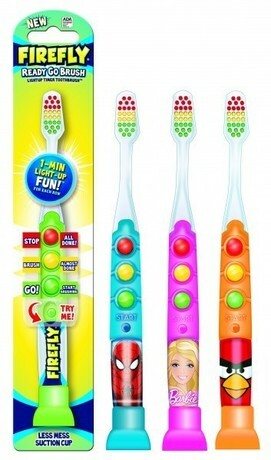 The FireFly Ready Go Brush times kids to make sure they brush the dentist-recommended 60 seconds per row of teeth. For the first 30 seconds, the light flashes green for “go.” Then, the light changes to yellow to signal that brushing is halfway over. When the red light comes on, the user can stop brushing. The cycle is then repeated for the second row of teeth. 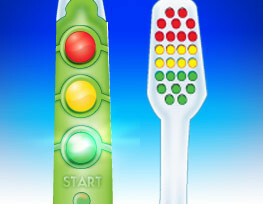 The colorful bristles on the toothbrush echo the green, yellow and red traffic signal motif. Hurried, insufficient brushing is one of the major causes of early childhood cavities; the FireFly Ready Go Toothbrush encourages compliance in young children and helps develop good oral care habits for a lifetime. There is a choice of four top entertainment characters – Barbie, Spider Man, Angry Birds, or FireFly. 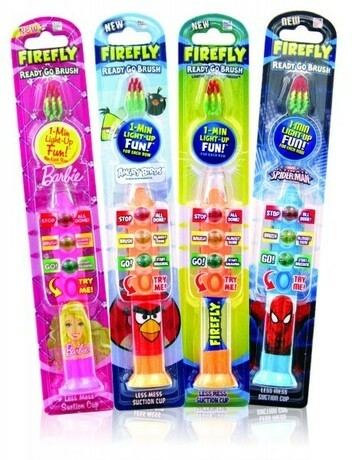 The FireFly Ready Go Toothbrush is ideal for children ages 3-12. The toothbrush also has soft, high quality DuPont Tynex bristles that are gentle on children’s delicate gums and is American Dental Association (ADA) Accepted. For even more toothbrushing fun and innovation, use with new the FireFly Fluoride Foam Toothpaste. Firefly Fluoride Foam Toothpaste makes brushing fun and takes the mess out of brushing. Our Experience: I received samples of FireFly Ready Go Brush and FireFly Flouride Foam Toothpaste to review. Braxton is excited to have new toothbrushes and toothpaste to use! My son, Braxton is seven years old and I tell you, I have had the hardest time getting him to brush his teeth longer than a few seconds. Thankfully, long gone are the days that I had to hold him down to brush his teeth, but still it had been a struggle. Thanks to FireFly Ready Go Brush, life in the 'brushing the teeth' department has gotten a lot easier for me as well as Braxton. Whew! He now sees brushing his teeth as a game instead of a test of wills or a race. He takes his time and stops when the light flashes red. Victory! FireFly Ready Go Brush and FireFly Flouride Foam Toothpaste are the PERFECT stocking stuffer!!!! You can purchase at Target, Kroger, Meijer stores, Drugstore.com and Amazon.com.